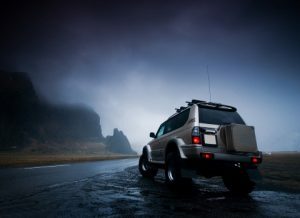 Let’s be honest; is anyone out there ever really excited about driving in nasty weather conditions? We didn’t think so. The professionals at the number one Audi service shop in Denver understand and are with you when they say that driving on wet roads isn’t only hard on your eyes with the effects of reflecting lights, but that it can be stressful on your brain and body, too. 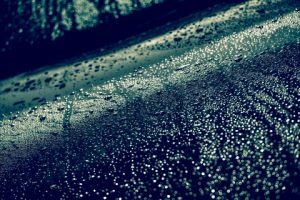 For yourself to avoid getting completed stressed out and miserable the next time you take a drive on Denver’s wet roads this winter, it’s important that you understand that there are ways that you can prepare to drive on wet roads to avoid the stress all together. Take time to learn the art of safe driving. Safe driving isn’t something that you just pick up one day and ride with for the rest of your life, it is gained by preparing and training. We suggest that you start off your training by driving a vehicle that is a go-to for snowy and wet conditions. This vehicle should have firm brakes, streak-free wipers and good tire tread. On a side note, if you’re dealing with reduced traction and visibility, your steering, skid control and braking may be at risk of decreasing. Practice maneuvering this vehicle in a secluded area during wet conditions so that you know what to do when a wet weather emergency is likely to happen. Although accidents and emergencies are likely to happen at anytime, they are far more common when wet and snowy weather is covering the roadway. By definition, emergencies happen suddenly with little time for decision-making or evaluation. The only solution is to be prepared to react quickly to avoid an accident. Here’s a little fact: research of nearly 12,000 collisions found that more than 37 percent of drivers who were involved in an accident took no action whatsoever to prevent the incident from occurring. Doesn’t that make you feel like you should put preparation in your own two hands behind the steering wheel? Before you sit behind the wheel, it’s important to get into the correct frame of mind. To stay safe, never get behind the wheel when you’re emotionally upset or rushed. According to traffic safety authorities, lack of attention is the number one contributing factor to auto crashes. Moreover, your alertness during night driving naturally drops around the time you’re accustomed to getting into bed. Not only that, but for many people, vision is limited at night. So, if you must drive during the hours you’re normally asleep, we suggest that you stop at least one time per hour to freshen your mind. Another way to ensure you have a rested driver at all times is to drive with another person who can take over when you start to get sleepy. Understandably, there are many reasons why driving on Denver’s wet and snowy roads in the winter can cause many people to want to avoid the situation all together. But if you can’t, rest assured that following the above suggestions can at least better prepare you for emergencies in the future. Don’t go anywhere just yet, Avalon Motorsports in Denver has more great tips for driving this winter. Stay tuned for more advice from your Audi Service pros.